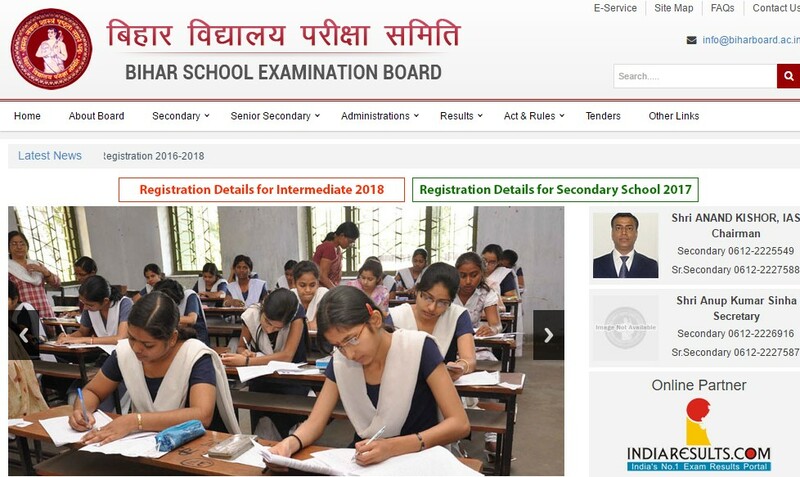 The class 10th Matric compartment examination results has been declared by the Bihar School Examination Board (BSEB) on it’s official website. The students who had appeared on this exam which was conducted on July 2017. This is the exam who were failed on one or two subjects in the regular which was conducted in March 2017. The Board conducted this compartment exam for the Matric by using 329 centres across the state. The students who have appeared on this exam can access the result page of the official website by using their roll number and roll code. As per the report of HT, totally 2,34,344 candidates appeared in the BSEB 10th Matric compartment examination which were conducted in between July 27 and July 31 of this year, 2017. The result has declared by the board on August 23rd Wednesday, 2017. From the result, totally 2,33,353 were cleared their papers. In that 94,665 are boys and 1,38,688 were girls who all passed on their compartment exam. Visit the official website of the Bihar School Examination Board (BSEB). Click on Class 10th (Matric) Compartmental Exam Result 2017, which is flashing on Events and Notification category in the bottom left side of the homepage. Enter your Roll code and Roll number and then click on ‘Find Results’ button. Or enter name and click ‘Find Results’ button. The result will be displayed on new screen. Download it and save it on your device if you had. OR it is better to take a printout.